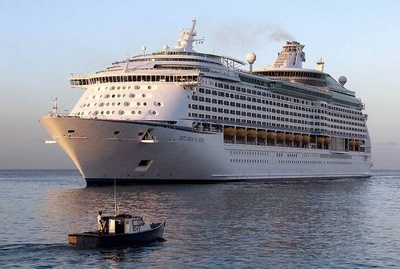 Royal Caribbean International expects each shipboard team member to relentlessly exemplify the principles of the Anchored in Excellence Credo to all team members. In addition, all duties and responsibilities are to be performed in accordance with Royal Caribbean International’s Gold Anchor Standards, SQM standards, USPH guidelines, environmental, and safety policies. 2. Promotes and serves as Master of Ceremonies in Sports Deck activities, and Vitality programs. Issues equipment to guests for: climbing wall, in-line skating, golf simulator, Flowrider (FR class), volleyball, basketball, golf course, ping pong, shuffle board, etc. 3. Explains and demonstrates use of apparatus and equipment for: climbing wall, in-line skating, golf simulator, Flowrider and any other related activities. proficiency in activity. Observes guests during activities to detect and correct mistakes. 5. Evaluates guests’ physical condition to participate in various sport and fitness activities. 6. Explains and enforces safety rules and regulations. Responds and reports any type of emergency. 7. Assembles and disassembles equipment and props required for activities. Returns items to storage area. 8. Performs regular inventory of all equipment and supplies. Determines if equipment requires replacement or repair. 9. Maintains the Sports Deck in a clean and orderly fashion. Posts current daily information, hours of operation, activities, etc. for the benefit of the guests. Adhering to USPH ship requirements. 10. Responds to guest complaints in a considerate, professional and positive manner by showing concern and listening actively. Takes ownership of guest concerns, by following-up and ensuring complaints are resolved to the guest’s satisfaction. 11. Prepares all required reports utilizing the computer equipment. 12. Attends meetings, training activities, courses and all other work-related activities as required. 13. Socializes with guests in public areas at all times in accordance with Royal Caribbean International’s Gold Anchor Standards. Visits guest lounges at specified times to converse with as many guests as possible in the time allotted. 14. Operates spotlight equipment for production shows according to instructions as needed, when stage staff are required to perform duties backstage. Attends mandatory rehearsals as required. 15. Performs stilt walking for parades on Voyager and Ultra Voyager class ships as necessary. 16. Assist Explorations at the front desk, back office ticket processing, and dispatching tours when necessary dependant on ticket sales. 17. 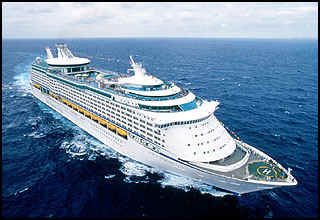 Participates in greeting and directing guests on and off the gangways when the ship has arrived in the ports of call. 18. Participates in debarkation procedures by disseminating information, and directing and escorting guests to staterooms and or exits. 19. Performs related duties as required. This position description in no way states or implies that these are the only duties to be performed by the shipboard employee occupying this position. Shipboard employees will be required to perform any other job-related duties assigned by their supervisor or management. o	One year physical fitness and/or recreational sports instruction background with resorts, sports facilities or related recreational facilities required. o	Master of Ceremonies experience preferred. o	Ability to coordinate and instruct recreational sports and activities for large groups and/or individual sessions. o	Ability to provide one-on-one rock climbing wall instruction. Rock climbing (manual belay) certification preferred. o	Ability to provide one-on-one Flowrider instruction, Ultra Voyager Class only preferred. o	Experience in the operation and maintenance of the Flowrider or other similar water park equipment, preferred for Ultra Voyager Class only. o	Knowledge of the rules of basketball, volleyball, golf, ping-pong, shuffle board, etc. o	Proven customer service skills to interact appropriately with guests in a considerate, professional and positive manner by showing concern and listening actively. o	Ability to communicate tactfully with guests, department heads and shipboard employees to resolve problems and negotiate resolutions. o	Certification and continuing education currency preferred in one of the following: American Council in Exercise (ACE), American Aerobic & Fitness Association (AAFA), American College in Sports Medicine (ACSM) or Sports/Fitness/Health Education degree from a college or university preferred. o	CPR certification and life saving certification from the American Red Cross or similar certifying organization preferred. o	Working knowledge of computers, internet access, and the ability to navigate within a variety of software basic packages. o	Completion of high school or basic education equivalency required. o	One full year experience with the company in original position hired. o	Meet expectations on most current evaluation onboard. o	Ability to speak English clearly, distinctly and cordially with guests. o	Ability to read and write English in order to understand and interpret written procedures. This includes the ability to give and receive instructions in written and verbal forms and to effectively present information and respond to questions from guests, supervisors and co-workers. o	Ability to speak additional languages such as Spanish, Portuguese, Italian, French or German preferred and taken preferably to European itineraries. Language aptitude testing may be requested. Must be physically fit and able bodied enough to be trained to perform stilt walking in the parades onboard.